Read the section, Safety Information. Power off the server, using one of the methods described in the section, Powering Off the System. 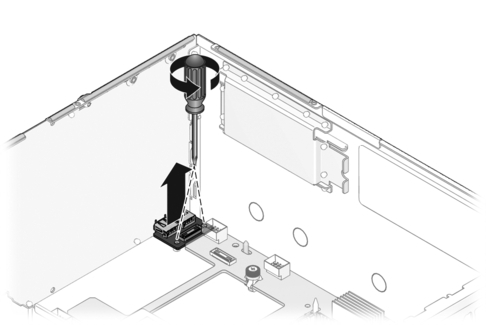 Unplug the front control panel cable from J9901 on the motherboard. Unplug the front control panel cable from the front I/O board. Remove the two No. 2 Phillips screws. Lift the front I/O board up and out of the system. Place the front I/O board on an antistatic mat.